Vanport Warehousing, Inc. is pleased to present a new website design, structure and functionality. We hope this site will be more useful to you. Much of the site content has been updated and we hope to offer a higher degree of user friendliness and at the same time reflect Vanport Warehousing, Inc. as a professional business partner to companies within a variety of industries. 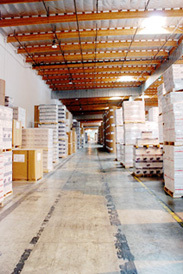 Further, we realize that our company’s website URL, VanportWarehousing.com, can be tedious to type out. We’ve taken on VPWhse.com to make our website easier for customers and partners to connect with us. But don’t worry! Our previous URL will continue to function as normal, so there’s no need to update your bookmarks. All official documentation will continue to list VanportWarehousing.com to avoid confusion. We have designed the site with the end user and accessibility in mind. If you’d like to discuss the accessibility of this site or comment on the site design to offer improvements, please do so by contacting the web administrator.